Today we went out to Spring-Grove cemetery here in Cinci which is one of the most beautiful and historical in the country and just happens to be the final resting places of over 6000, Civil War Union troops. 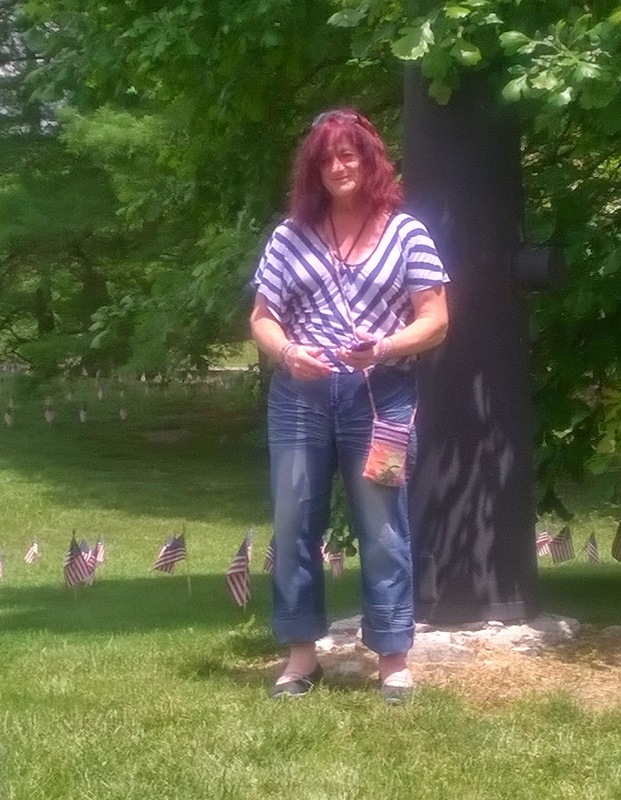 You can see all the flags where I am standing by what actually a canon standing on end and stretching out behind me. Below you can see one of the burial stones. 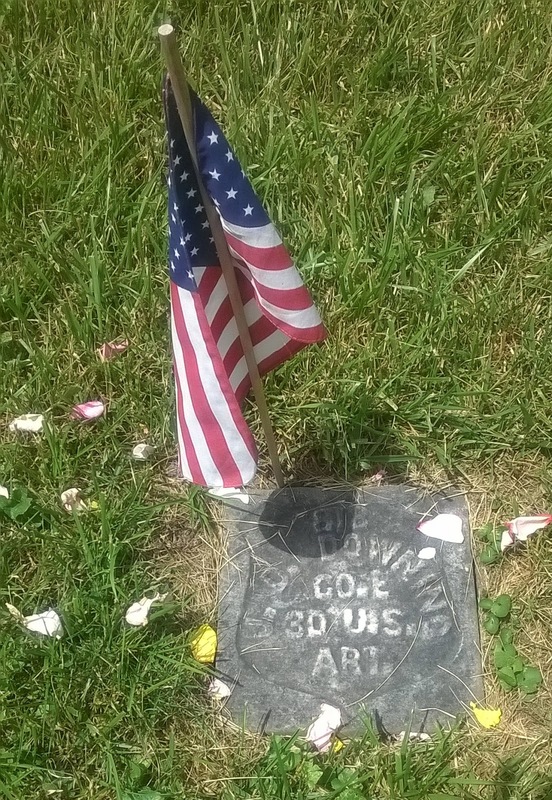 For some reason this year Memorial Day has meant more to me out here in dear old conservative Ohio. Yesterday we had a chance to stop by Liz's 90 (almost) year old Dad and thank him for his service in World War II. As you know, surviving WWII vets are getting rarer and rarer so Liz's Dad is a treasure. Of course as always I think how many of the fallen vets were actually our transgender sisters and brothers - and- they went from the closet to the grave. Hopefully the future will be brighter. The true tragedy comes when some just don't seem to care at all and only see the weekend as a chance for a BBQ and extra day off.